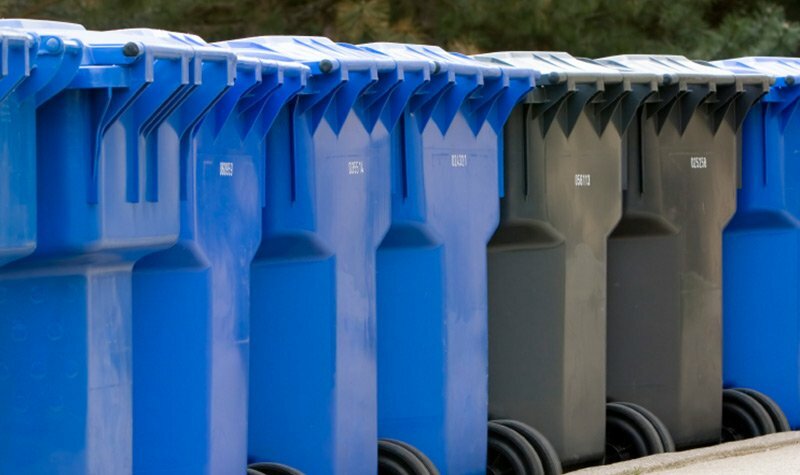 Millennium Waste provides curbside residential trash and recycling services that are convenient and dependable. Whether you need special residential garbage removal or regular weekly collection, our professional and friendly drivers will pick up your household waste on time. Place the container on either side of your driveway or along the edge of the curb. Please do not park vehicles in front of containers. Be sure to allow six feet of clearance between the container and any obstructions such as cars, trees, streetlights or electrical poles. Place bins at least three feet from each other and make sure the lids are placed toward the street. Special residential trash service for large items or excess trash. Millennium Waste offers residential trash services for homes in the Quad Cities area. to set up your residential garbage pickup. Recycling has become crucial in today's world and helps create a healthier environment for future generations. Millennium Waste ensures the Quad Cities garbage and recycling services we provide are straightforward and efficient for our customers. At this time, we offer Aledo, IL residential recycling services only. We understand the importance preserving natural resources for future generations and recycling is one way for you to reduce the negative impacts of that waste. We provide our Aledo residential recycling customers with an 18-gallon recycle bin for single stream collection, eliminating the need to sort. Let Millennium Waste be your partner in reducing and reusing products that make up a wide-ranging level of waste. Request our services today and together we can help our community and our world. Residents in Rock Island County and Scott County may drop off household hazardous waste at the Waste Commission's Davenport, IA location. Please visit the Waste Commission's website for more details. Residential customers are billed quarterly. Payments accepted are checks, MasterCard and Visa.